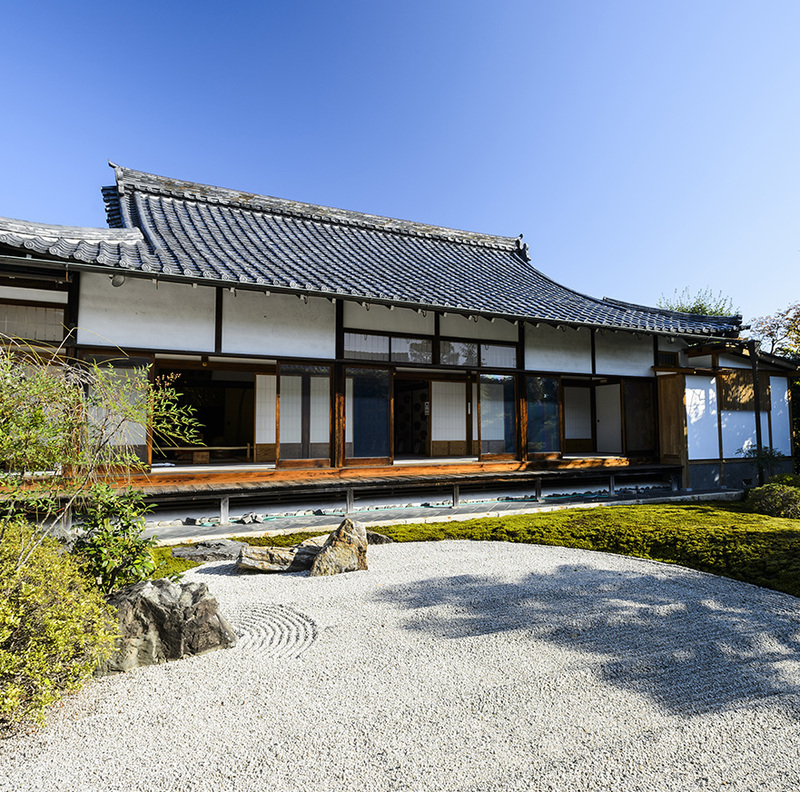 Kōgen-ji was established in 1429 by Hosokawa Mochiyuki (1400-1442), a high-ranking official in the Muromachi Shogunate (1336-1573). 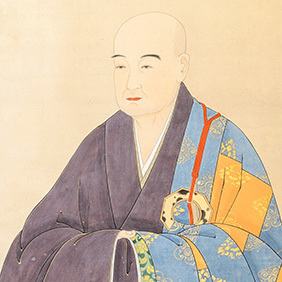 Zen Master Gyokushū, a third-generation Dharma successor of Zen Master Musō Soseki (the founder of Tenryū-ji), served as the temple’s first abbot. The name Kōgen-ji derives from Hosokawa Mochiyuki’s posthumous Buddhist name. The main hall, dating from the early 1600s, is built in the kyakuden style, a more residential style than classic temple architecture. 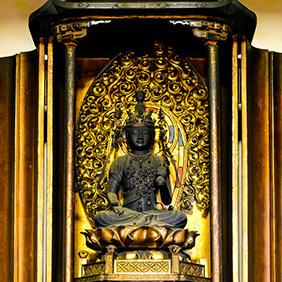 The principal object of worship is Kannon Bodhisattva, enshrined at the center of the altar. To the right is a wooden statue of Zen Master Gyokushū, the founding abbot of Kōgen-ji, and to the left is the memorial tablet of Hosokawa Mochiyuki, the temple’s founding patron. 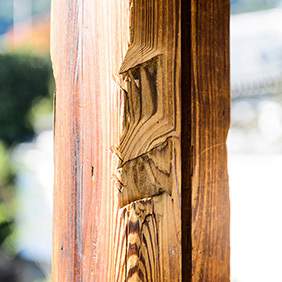 Sword cuts can be seen on the interior wooden support posts of the main hall. 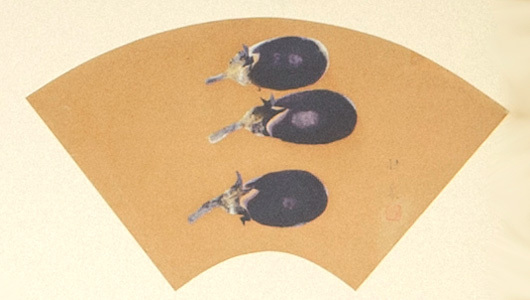 These were made in 1864 by samurai of the Chōshū Domain army, who tested the sharpness of their blades while bivouacked at Tenryū-ji during the unrest that preceded the Meiji Restoration in 1868. 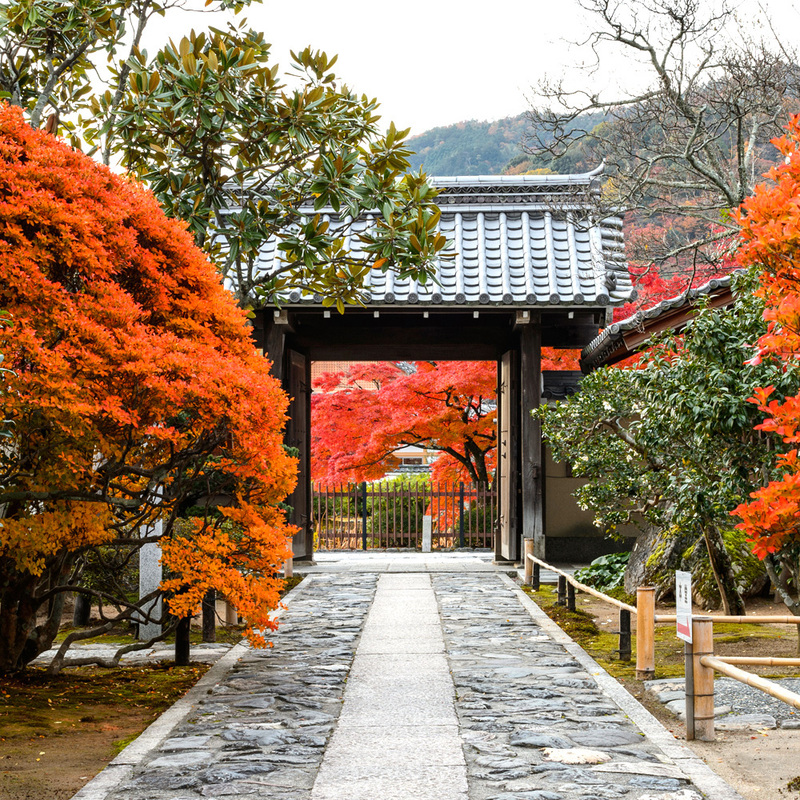 In front of the main temple buildings and to the west of the path is the Bishamon Hall. 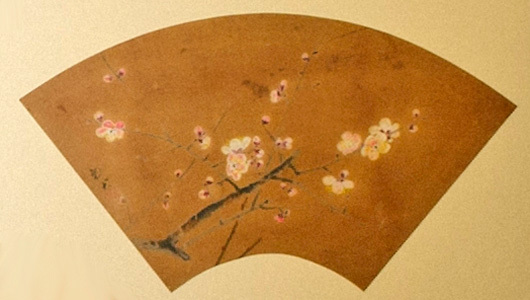 The large plaque above the main door of the hall features the calligraphy of the great Japanese Buddhist priest Kōbō Daishi (774-835). 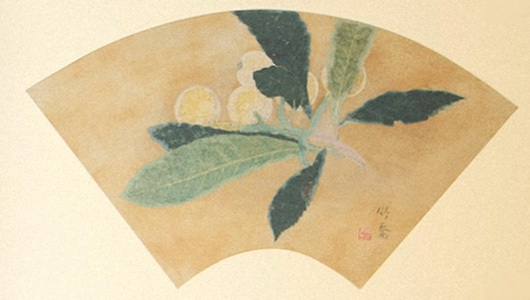 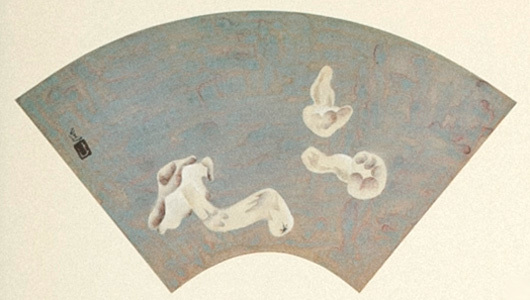 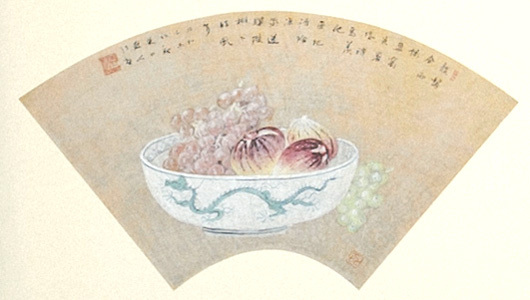 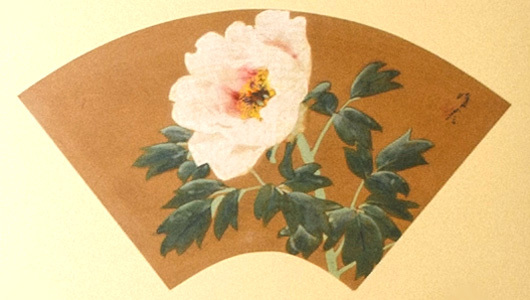 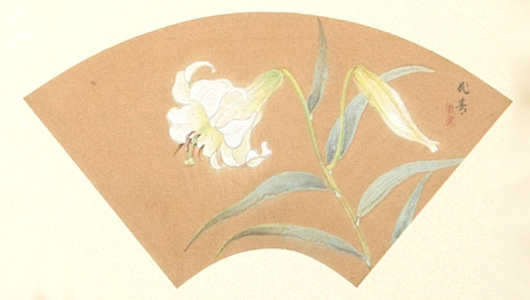 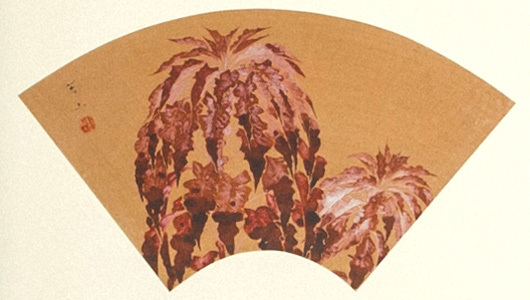 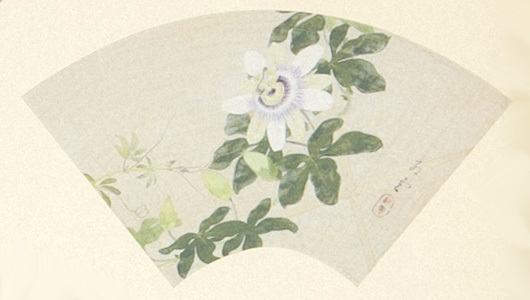 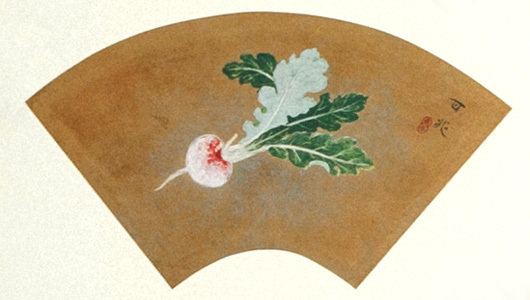 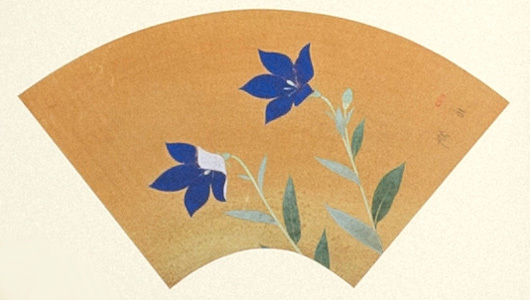 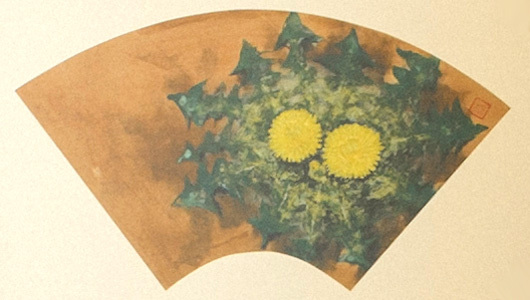 On the ceiling of the hall are a series of paintings by the Nihonga artist Fujiwara Fuseki depicting various flowers of the four seasons. 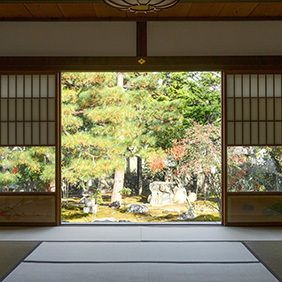 Kōgen-ji’s main image of worship is Kannon Bodhisattva. 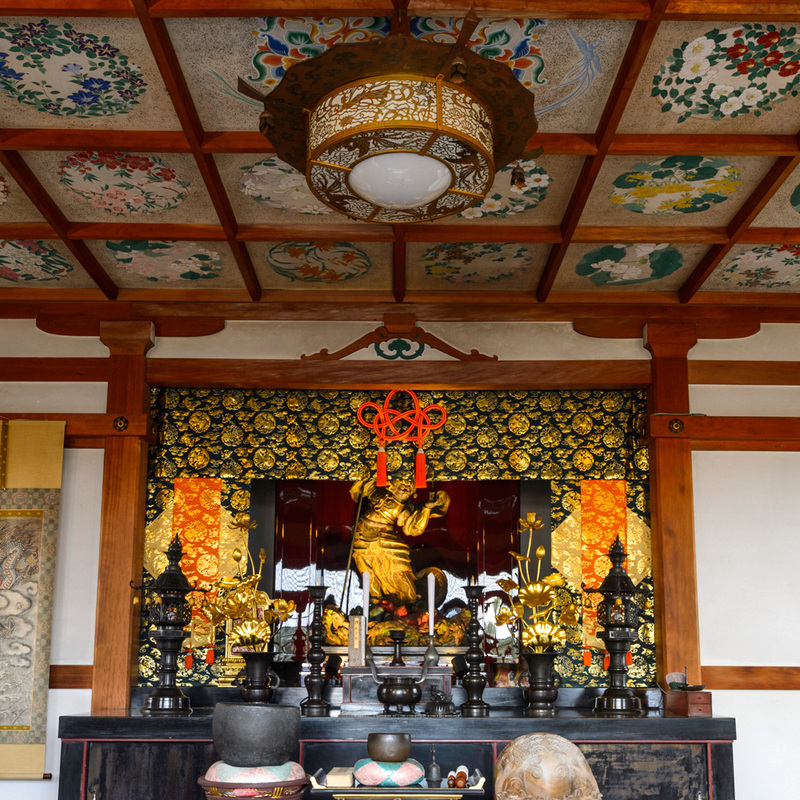 According to the Buddhist holy texts, Kannon Bodhisattva hears the voices of all suffering beings in the world, and manifests in one of thirty-three different forms to offer aid in accordance with the beings’ needs. 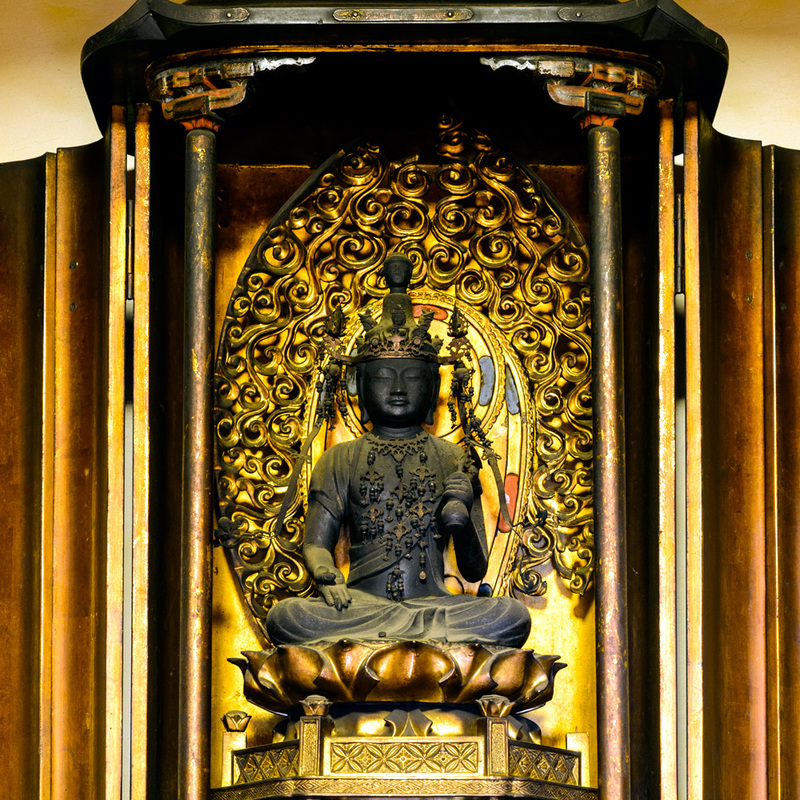 For this reason there are many different types of Kannon Bodhisattva statues. 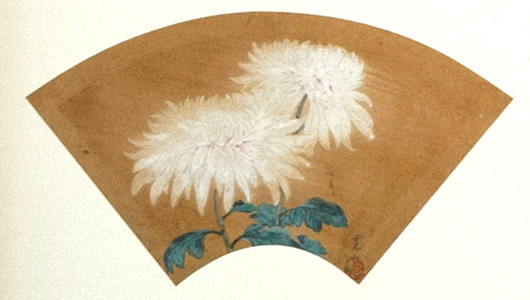 Kōgen-ji’s Kannon shows the bodhisattva with its right hand lowered in the seimuin mudra (bestowing-fearlessness hand position) and with the left hand holding a lotus flower in a vase. 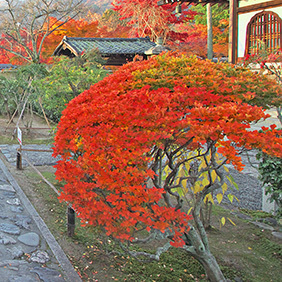 Kōgen-ji is a subtemple of the Rinzai Zen head temple Tenryū-ji, a major religious, cultural, and historic site in the Arashiyama district of Kyoto. Kōgen-ji was established in 1429 by Hosokawa Mochiyuki (1400-1442), a high-ranking official in the Muromachi Shogunate (1336-1573). The temple’s first abbot was Zen Master Gyokushū, a third-generation Dharma successor of Zen Master Musō Soseki, the founder of Tenryū-ji. 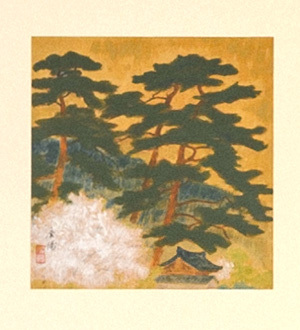 The name Kōgen-ji derives from Hosokawa Mochiyuki’s posthumous Buddhist name. 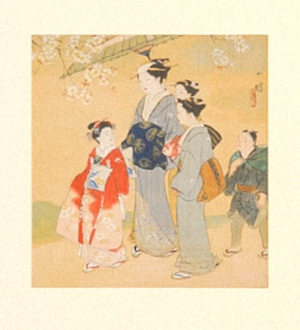 The Hosokawa clan descended from Emperor Seiwa (the 56th emperor of Japan, 850-878) through the line of the Seiwa Genji and Ashikaga clans. 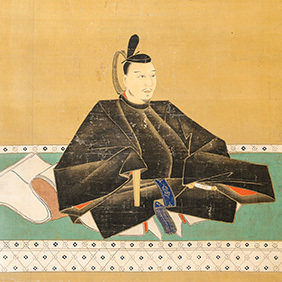 Hosokawa Mochiyuki was in the ninth generation following the family’s branching off from the Ashikagas. 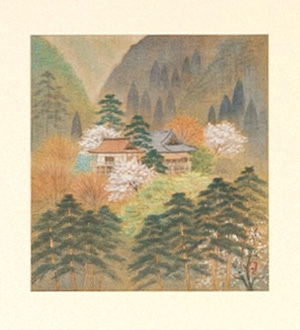 Kōgen-ji was originally located on a large property at the foot of Mount Ogura, just north of Tenryū-ji, but following a number of fires and other misfortunes it relocated to its present site in 1882. 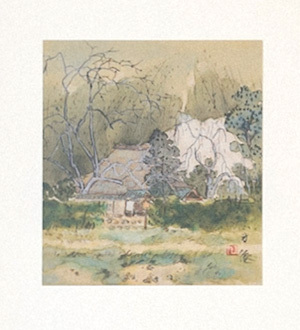 In August, 1864, during the period of unrest that preceded the fall of the Tokugawa Shogunate in 1868, the samurai of the Chōshū Domain bivouacked at Kōgen-ji prior to their attack on the imperial palace (an attack known as the Kinmon no Hen, “Forbidden Gate Incident”). 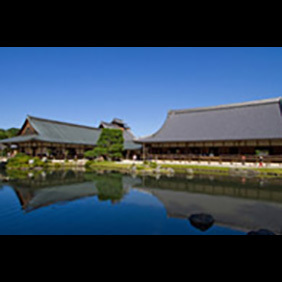 During their stay the warriors tested the sharpness of their swords by cutting into the wooden pillars of Kōgen-ji’s Main Hall. 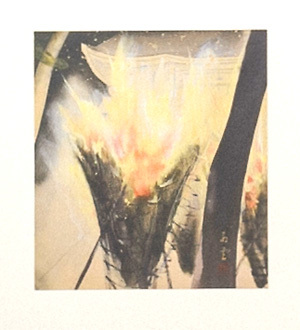 The attack failed (although much of Kyoto was burned during the battle) and the Chōshū samurai retreated, but Tenryū-ji and many of its subtemples were torched in retaliation by the victorious samurai of the Satsuma Domain. 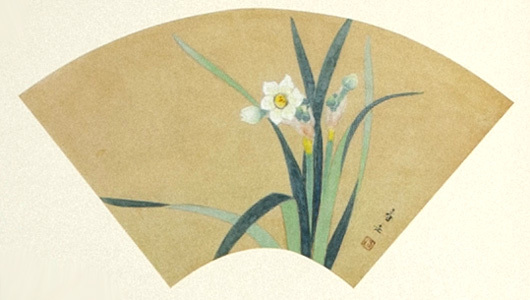 Takeuchi Seihō (1864-1942) was a pioneer of the Nihonga style of Japanese painting, a style noted for harmonizing the traditions of Western and Japanese art. 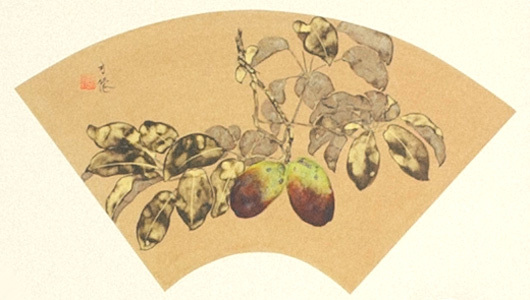 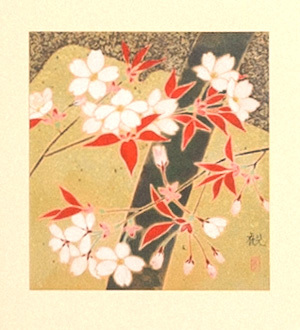 Seihō was one of the most influential artists in Kyoto over the course of his fifty-year career. 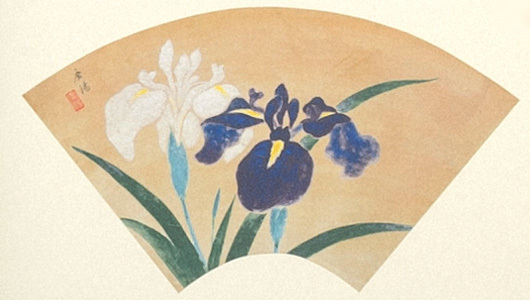 He was designated an imperial court painter, and was among the first persons to receive the Order of Cultural Merit when it was established in 1937. 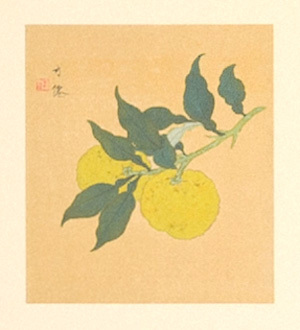 For more information on Takeuchi Seihō, see here. 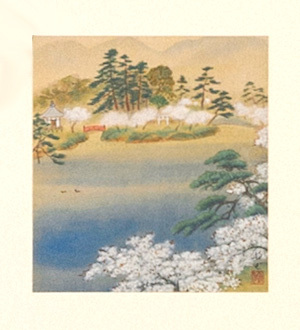 Mukai Kyorai 向井去来 (1651–1704), a Japanese haikai poet, was born in Nagasaki as the second son of the samurai-class physician Mukai Genshō. 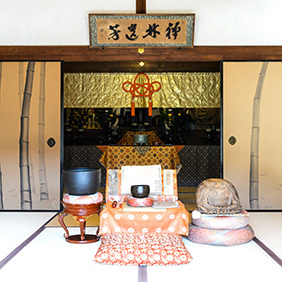 Kyorai was skilled in the martial arts, but early in his life abandoned his status as a samurai to live the life of a poet. 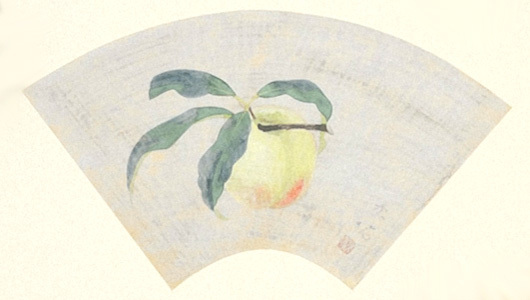 He studied under the famous haiku master Matsuō Bashō (1644–1694) and was recognized as one of his top ten disciples. 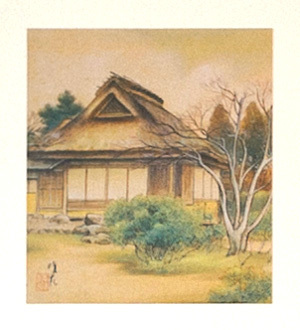 Mukai lived at the Rakushisha, a rustic dwelling in Sagano where Bashō wrote his Saga Journal. 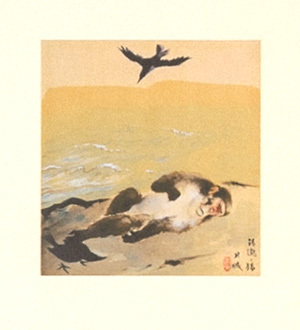 Following Bashō’s death Mukai and his fellow disciple Nozawa Bonchō compiled the Sarumino (Monkey's Straw Raincoat), a representative collection of Bashō-school haiku. 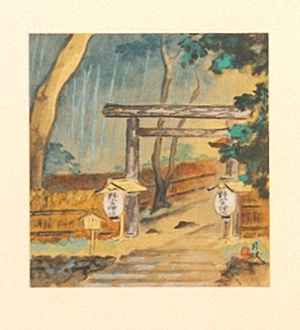 Mukai’s grave is located in Kōgen-ji’s graveyard behind the Rakushisha, a ten-minute walk north of Kōgen-ji. 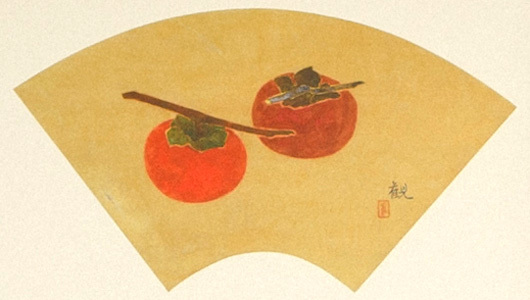 A large collection of Nihonga paintings by Takeuchi Seihō (1864-1942) and a number of his prominent disciples, including Nishiyama Suishō (1879-1958), Tokuoka Shinsen (1896-1972), and Yamamoto Kōun (1896-1993), are on permanent display at Kōgen-ji. 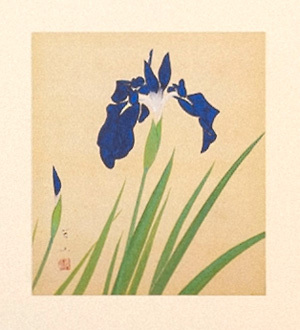 Takeuchi Seihō, one of the most influential Japanese artists during the pre-WWII years, was a pioneer of the Nihonga style of Japanese painting, a style noted for harmonizing the traditions of Western and Japanese art. 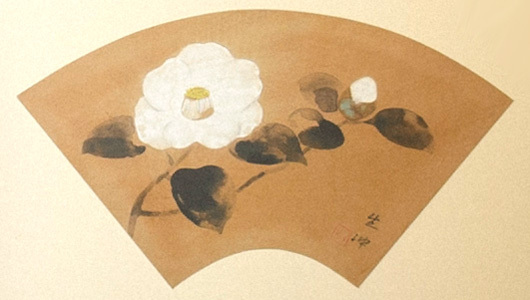 During the course of his illustrious fifty-year career Seihō was designated an imperial court painter and was among the first persons to receive the Order of Cultural Merit when it was established in 1937. 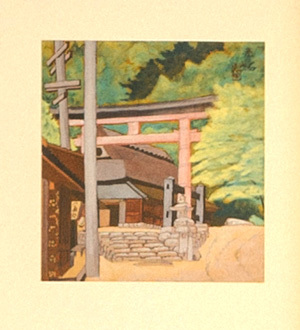 Seihō was his artist’s pseudonym; his real name was Takeuchi Tsunekichi. 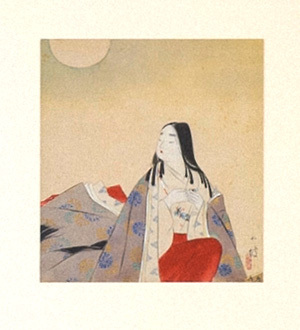 He also called himself Kachū-an at times. 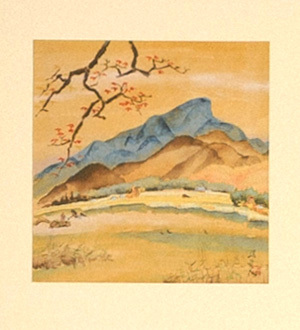 His skill was such that when he painted an animal his picture was said to capture even the animal’s scent. 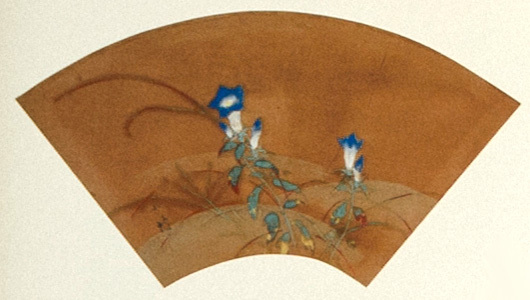 Seihō’s style was based on that of the traditional Japanese Kanō-Shijō school, but also incorporated the forms of realism developed in Western art. 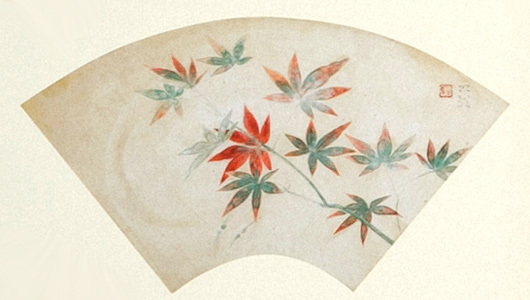 His innovative approach contributed significantly to the development of the Nihonga movement. 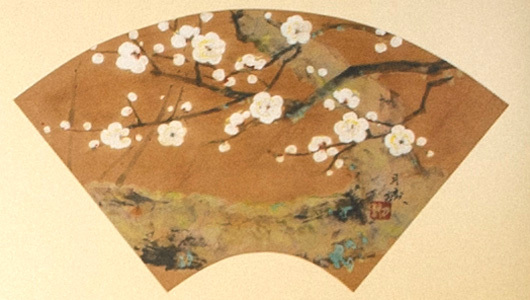 Seihō’s skillful brushwork, calm and composed and at the same time imbued with power, allowed him to create even the largest paintings with unshakable confidence. 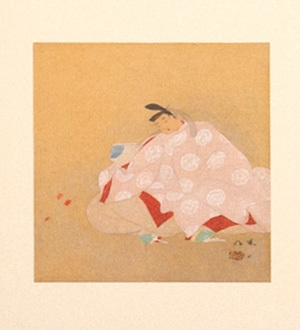 He was indeed a master of the Nihonga genre. 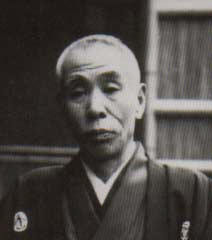 The late priest of Kōgen-ji, Rev. 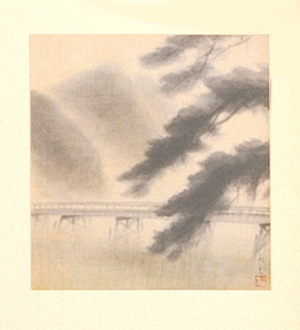 Tahara Shūnin, was on friendly terms with the artists of Takeuchi Seihō’s art academy, known as the Bamboo Staff Atelier. 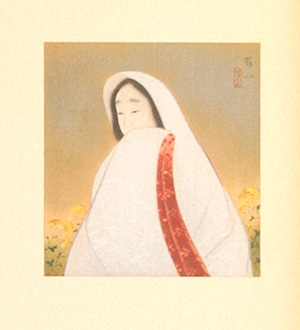 Thus when Seihō’s second son, Takeuchi Shirō, suffered a severe illness Rev. 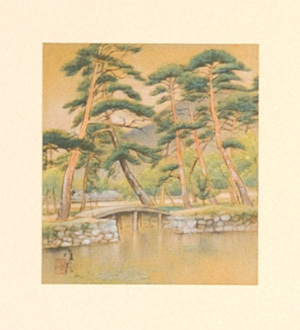 Tahara invited him to convalesce at Kōgen-ji. 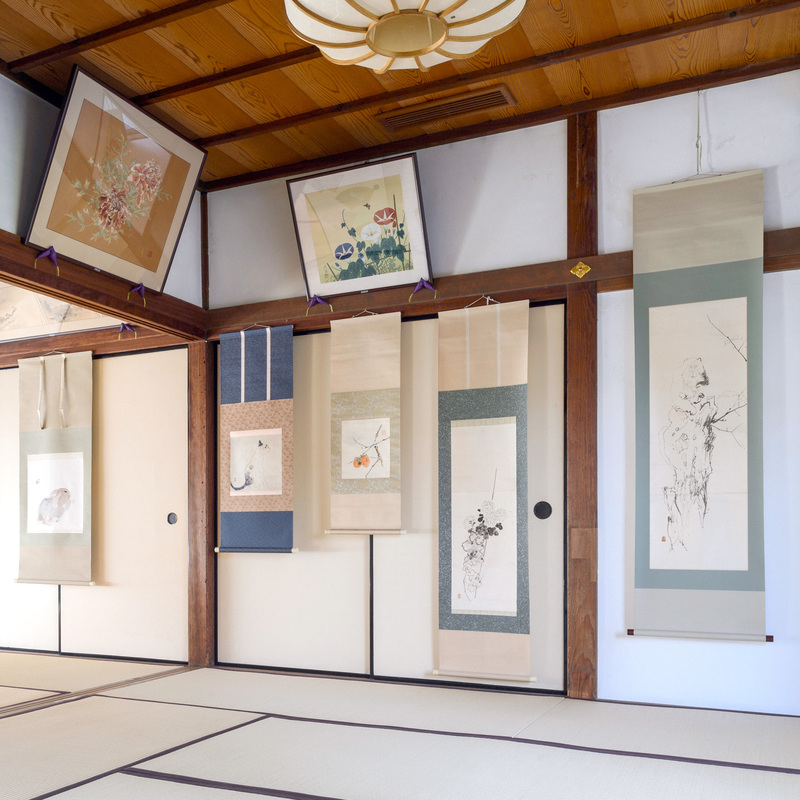 At that time the artist Sakakibara Taizan, one of Seihō’s disciples who lived not far from Kōgen-ji, took note of the lonely circumstances of Shirō's convalescence and suggested to the other disciples that they paint pictures to decorate his room. 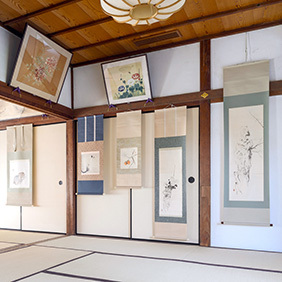 These are the paintings presently on display at the temple. 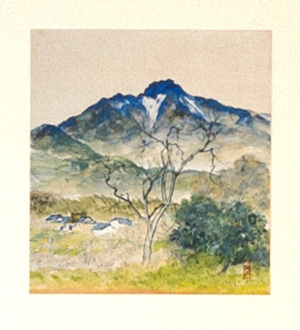 Altogether twenty-four members of the Bamboo Staff Atelier participated in this endeavor, demonstrating the deep affection they felt toward both their teacher, Takeuchi Seihō, and his son Shirō. 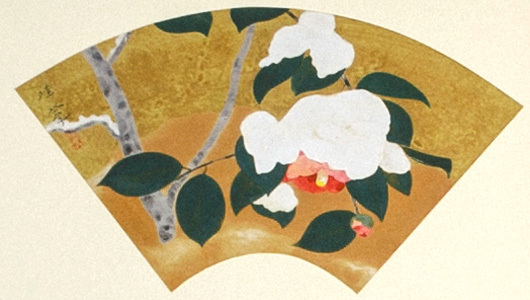 The group devoted five years to the project, and exhibited the finished works on the occasion of the 16th anniversary of Seihō’s passing. 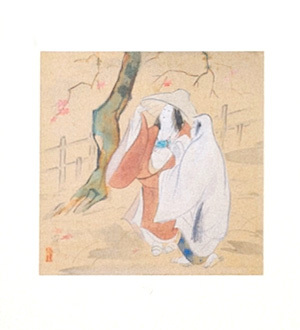 The story of the disciples expressing their prayers for Shirō’s recovery in the form of their paintings was prominently reported in the newspapers, which referred to Kōgen-ji as “Seihō-ji” (Takeuchi Seihō’s temple). 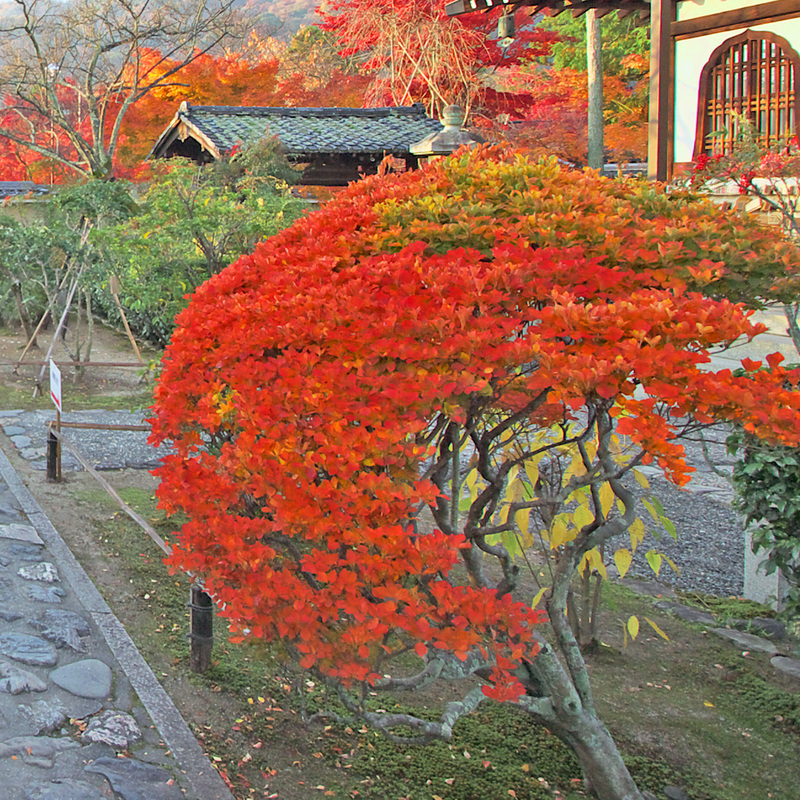 There are several picturesque landscape gardens on Kōgen-ji’s precincts. 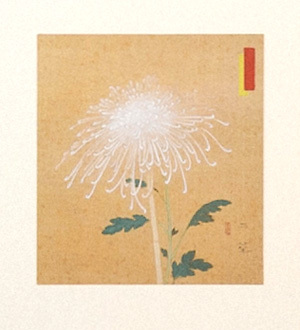 Of these, the best-known is the Tiger’s Roar Garden. 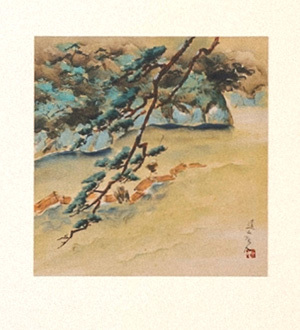 The name “Tiger’s Roar Garden” comes from a famous Zen expression, “When a dragon cries, clouds appear; when a tiger roars, wind arises,” found in the classic Zen text known as the Blue Cliff Record. 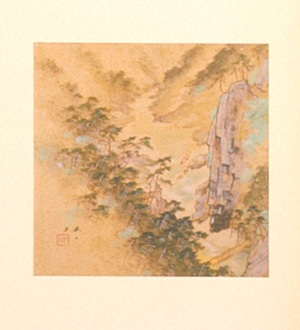 A dragon’s cry refers to the sound made by the wind as it blows through leafless branches; a tiger’s roar refers to a great tremor that wells up from the earth. 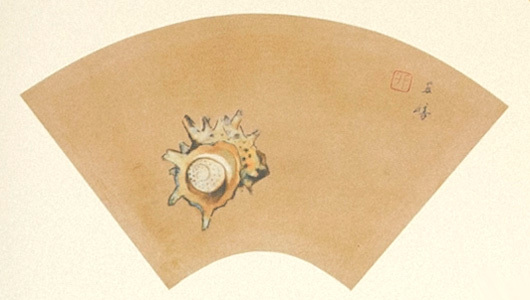 Both are metaphors for the state of enlightenment. With the “borrowed scenery” of Mount Arashiyama as a backdrop, this dry landscape garden features delicate cherry blossoms in the spring and colorful foliage in the fall, harmonizing with the surrounding scenery to make it one of the area’s finest sights. 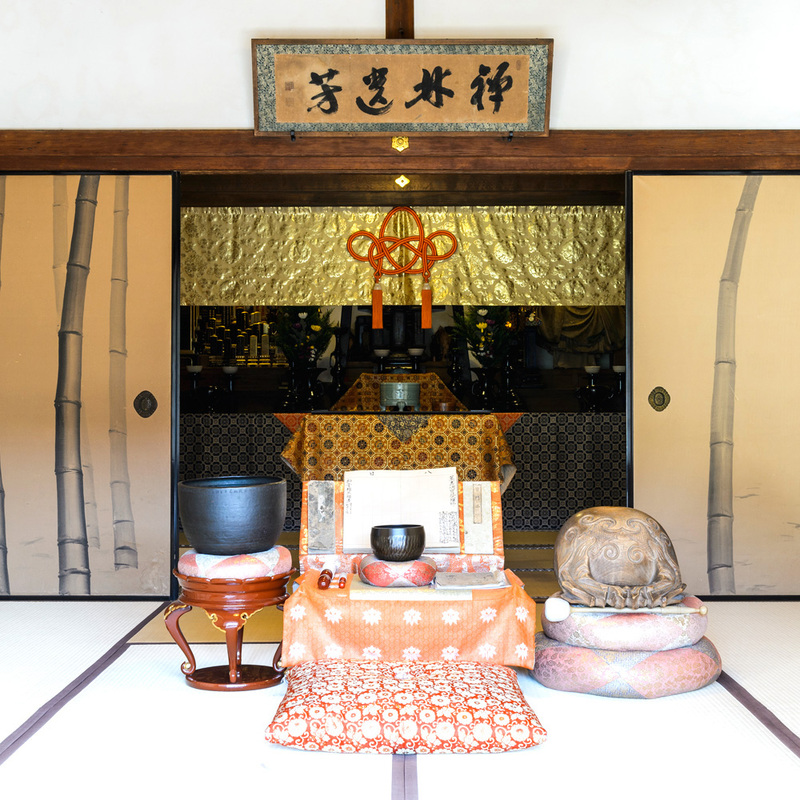 Copyright (C) Kogen-ji religious corporation All rights reserved.